And did it give you that tingly feeling of possibility? One of the best parts of working at Chime is that employees get paid up to two days early, and this morning was one of those delightful days. But you don’t have to work here to get the same benefits as us. All Chime members–not just employees–can enjoy that feeling from Early Direct Deposit. That’s two more days for you to plan more, save more, and do more with your paycheck. Not that it should burn a hole in your pocket, but it gives you the luxury of flexibility. With a weekend coming up, that means dinner out with friends, a night at the movies, or a weekend getaway. Early Direct Deposit allows you to receive your paycheck up to two days early1 to your Chime account. No waiting for your money while it sits in some mysterious electronic limbo, no paper checks lost in the mail. Your money is available when your employer deposits it. And as an added bonus, all Chime members get fee-free ATM transactions at over 24,000 locations. Not only is your paycheck faster, access to cash is closer than ever. 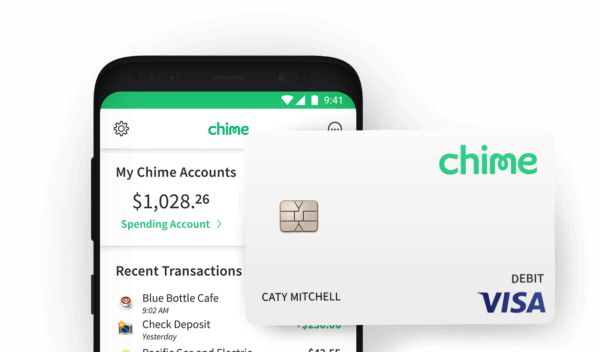 If you haven’t set up direct deposit to your Chime account yet, it’s simple to do – just go to Add Funds in the app for details. We think you’ll like it. 1Faster access to funds is based on a comparison of traditional banking policies and deposit of paper checks from employers and government agencies versus deposits made electronically. Direct Deposit and earlier availability of funds is subject to payer’s support of the feature and timing of payer’s funding.